Graphic 45 is having a design team call and I thought I would give it a go. Their papers are breathtakingly gorgeous and so much fun to work with. Throughout the past few years I have used them on quite a lot of my creations. Here are some of my own Graphic 45 favourites. Graphic 45 heeft een design team call en ik heb besloten om ook een poging te wagen. Hun papier is geweldig mooi en heerlijk om mee te werken. De afgelopen jaren heb ik dan ook veel verschillende Graphic 45 creaties gemaakt. Dit zijn een aantal van mijn persoonlijke favorieten. 1. 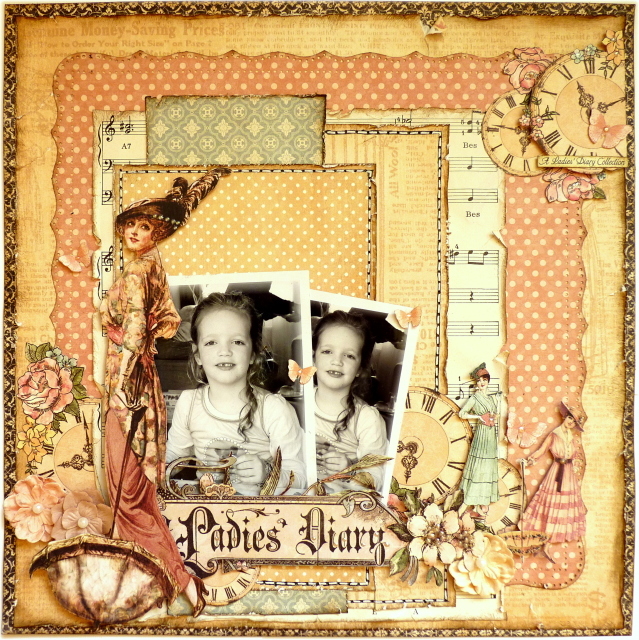 'Ladies Diary' is feminine and elegant and thus one of the collections that I just can't stop working with. On this lay-out I did a lot of fussy cutting to adorn this photo. 2. 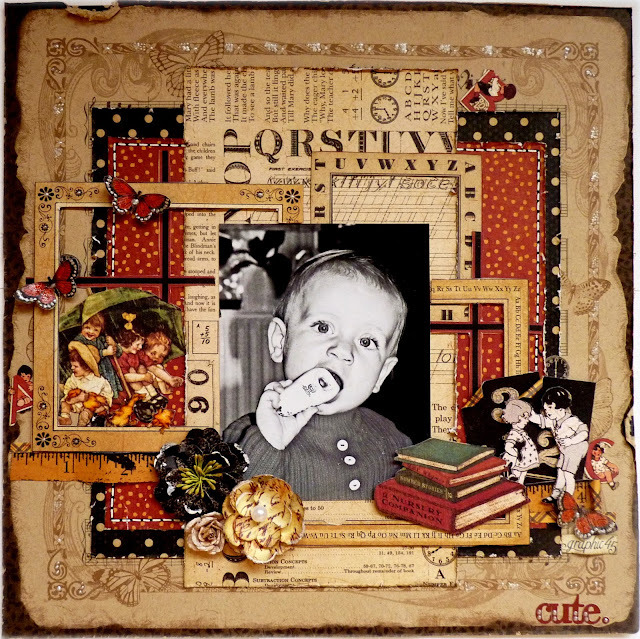 I also used this collection for a more vintage and colourful lay-out about my niece. On this lay-out layering and fussy cutting are the two main things that I did. 3. This collection also appeared to be perfect for a feminine tag. I cut out the two divas and gave them a special place on this label. 4. 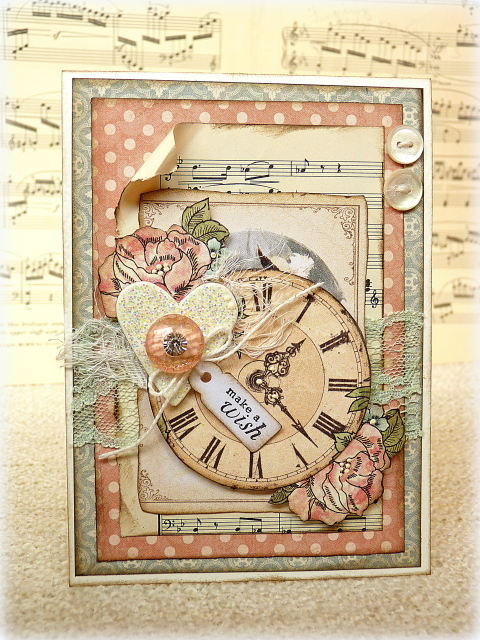 On this card I decided to really go vintage and made a vintage inspired card with some papers and fussy cuts from the gorgeous 'Ladies Diary' collection. 5. 'Little Darlings' is one of the most gorgeous baby collections that I have seen so far. It actually makes me want to have a new baby in our family, just so I have another subject to scrap about with this collection. But for now this photo of my niece Elise seemed to with it quite well too. These papers kind of worked themselves when I created this lay-out. 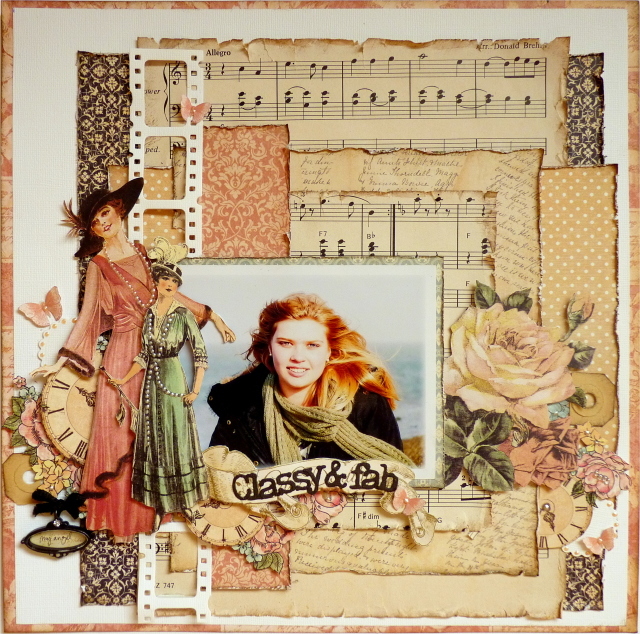 I arranged lots of fussy cut items around the photo, while still trying to keep Elise the main focus of my lay-out. 6. 'French Country' was a true must-have for me. 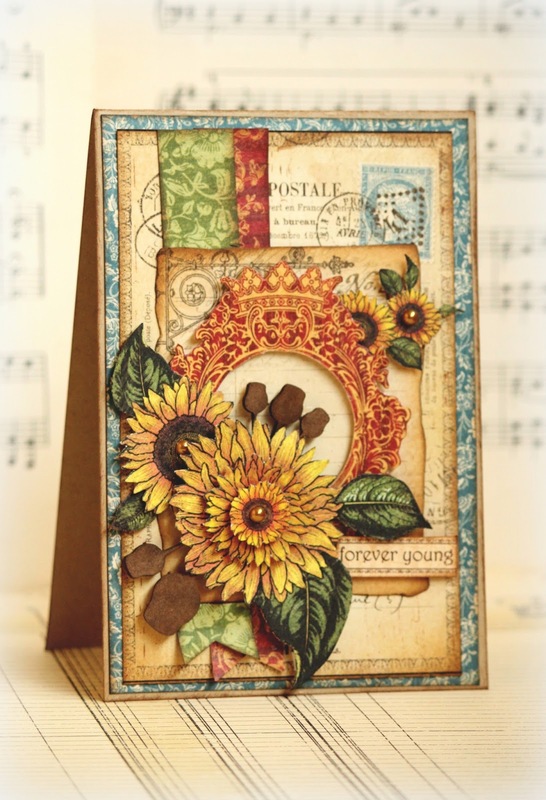 Its sunny colours and sunflower patterns are perfect for a summer inspired card. I cut out some sunflowers and a red frame and used them as the focal point on this card. 7. 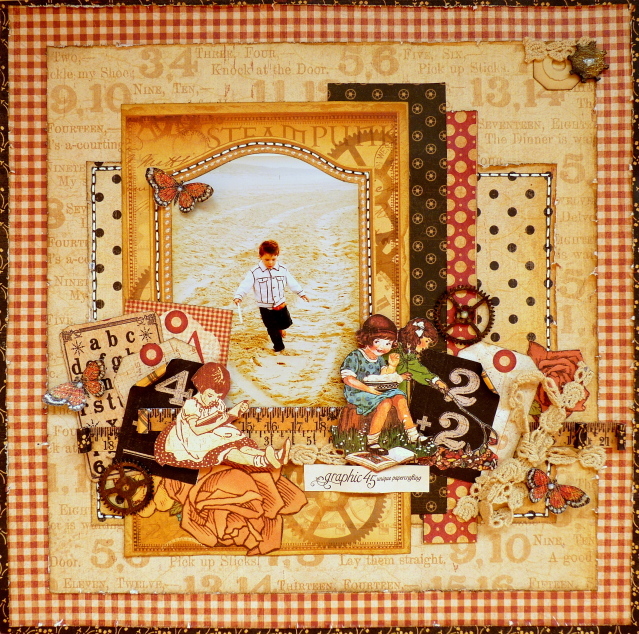 Let's have a look at another collection that is one of my personal favourites: 'Once upon a springtime'. Just looking at these papers makes me feel like I'm reading a fairytale book. I'm in love with all the cute fairies, adorable butterflies and beautiful animals that are part of the papers. 8. 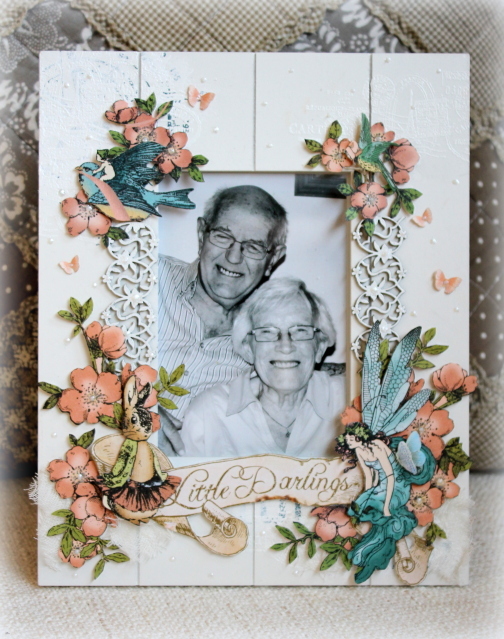 The gorgeous images from this collection also seemed to create a beautiful scenery for this photo frame that I made for my grandparents. 9. 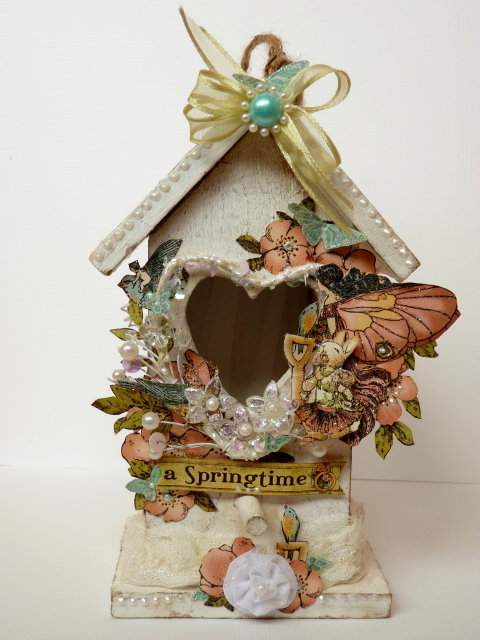 'Once upon a springtime' was used to alter this little birdhouse too. I went a little crazy with my scissors for this birdhouse and arranged a lot of fussy cut images around the heart in the center. 10. As soon as I saw this collection, the book pattern was 'begging' me to get cut out. 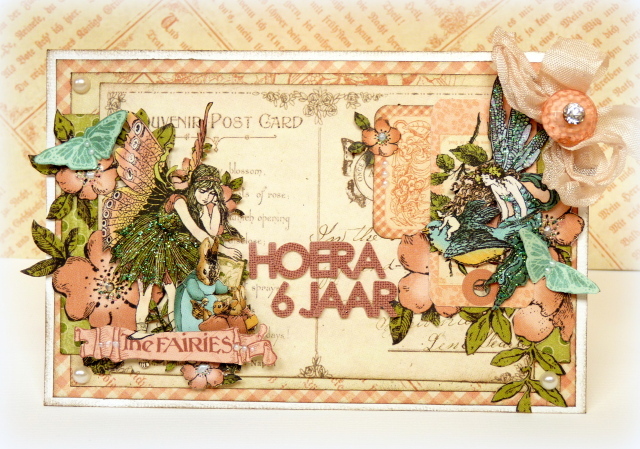 On this lay-out I used it as a background for my photo and added lots of fairies, flowers and rabbits on top of it. 11. 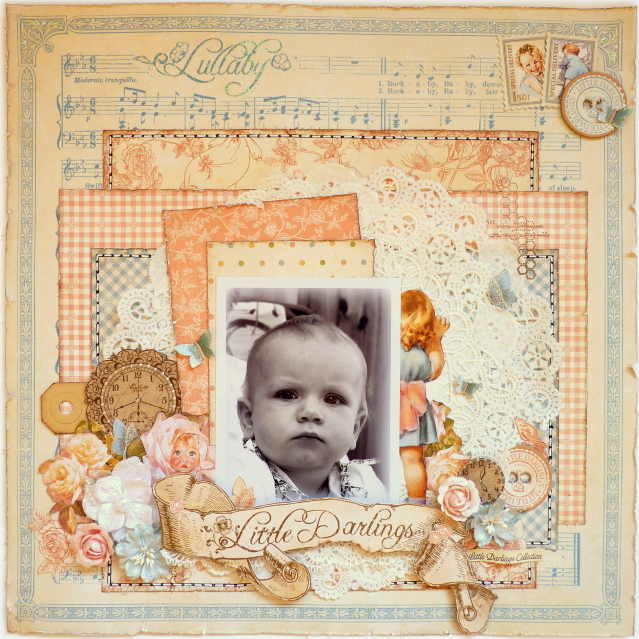 My lay-out 'Cute' was made with a mixture of some of the truly vintage collections that Graphic 45 offers. 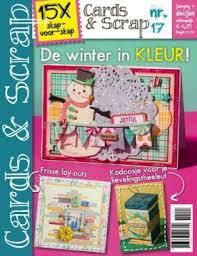 It features papers from the Kraft, ABC Primer, Christmas Past and Steampunk Debutante papers. I just love how well their different collections blend together. 12. The same collections were used on my beach lay-out, which I attempted to give a playful look by adding lots of fussy cut children to it. 13. Another truly stunning collection is 'Steampunk Debutante'. I love the fact that this collection is feminine and grungy at the same time. 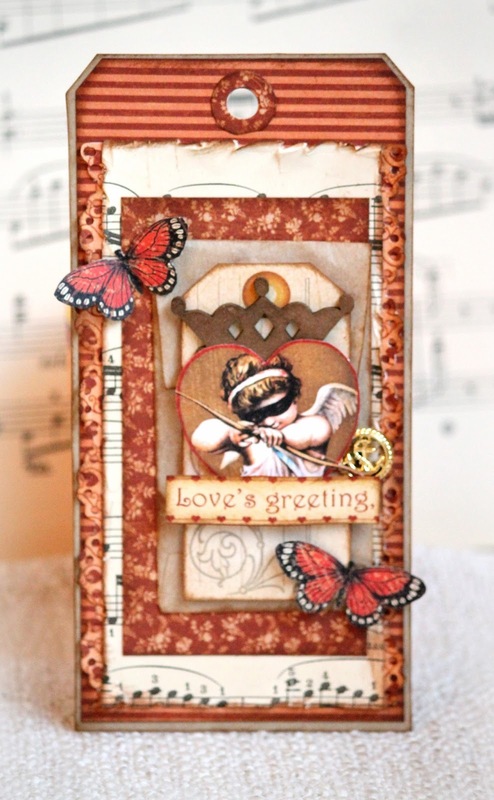 Also the butterflies that are part of this collection are some of my favourites from Graphic 45 - gotta love them! 14. 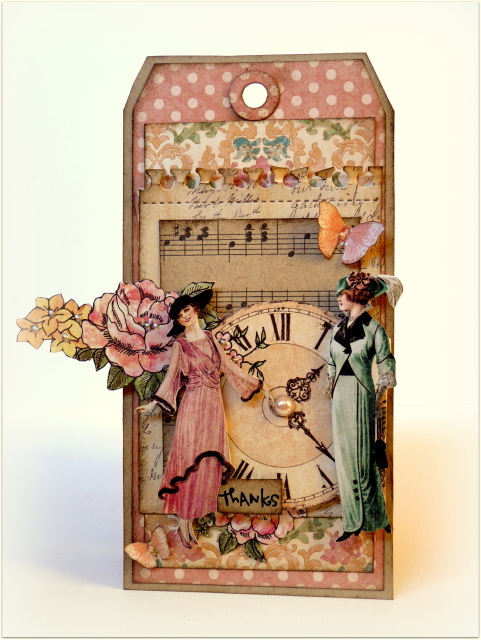 And last but not least is a Valentine's Day tag that I made with the gorgeous February papers from the 'Place in Time' collection. Isn't that Cupid just super cute? Thank you to Graphic 45 for the chance to become a DT member of your amazing company! Wauw wat heb ik zitten genieten van deze verzameling, superrrrrrrrmooi. Heel veel succes, ik hoop dat je wordt uitgekozen! 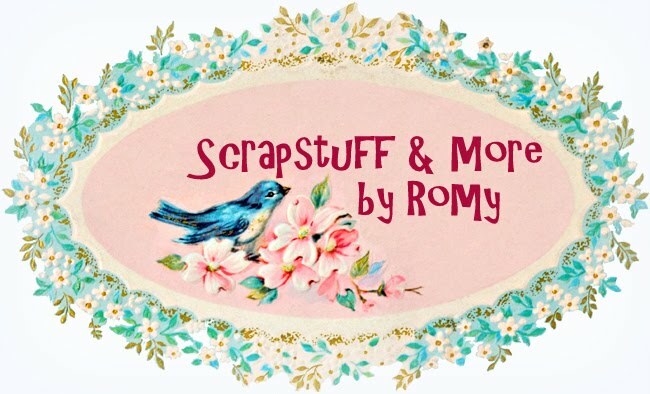 Wow Romy, you really have created some beautiful layouts and cards with these papers, you are queen of fussy cutting and work magic with these papers.. you have shown here that you use these papers so beautifully!! Gorgeous projects Romy! Good luck I hope u make the top 30 finalists again and hopefully go all the way! These are all completely gorgeous, Romy! I'm cheering for you! ohhh wowww Romy,wat is dit allemaal schitterend gemaakt. Kijk me ogen uit ,alles is zo mooi. Ik ga voor je duimen Romy !!! Jij maakt zulke prachtige dingen met Graphic45. Je verdiend gewoon een plekje in hun designteam ! Met zulke creaties gaat je dat vast lukken!!! Succes! You are perfect for Graphic 45! I love their line also. These projects shown here are fabulous! Fab projects, Romy! Good luck! Goodness me Romy - so many creations!! They are all perfect & I am sure that you stand a really good chance!!! WOw Romy! Fabuous! You really deserve to be in the team. Wish you the best! Geweldige projecten, met geweldig papier. Ze zouden inderdaad wel gek zijn bij Graphic 45 wanneer ze jou niet nemen ! so beautiful - good luck! Go for it girl! Je maakt geweldige projecten met hun materiaal, dat moet toch zeker gaan lukken. Heel veel succes. Oh WOW wat heb je ontzettend veel prachtige projecten gemaakt met hun spullen!!! Ik hoop toch zo dat je door bent!! Absolutely gorgeous projects! Good luck to you ! Graphic 45 is inderdaad niet makkelijk, maar wel prachtig papier! En wat heb jij er een supermooie LOs mee gemaakt!! Geweldig!! CONGRATULATIONS !!!!!! You did it!!!!! TOP 30!!! Well done!! I am a huge fan and I am happy to see you made the top 30! 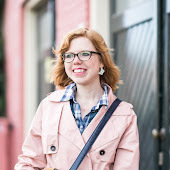 Lovely work, especially your layouts! Super mooie creaties ! Veel succes gewenst ! Love all your work, especially those that incorporate sewing! Well done and good luck getting on the G45 Design Team! Hoi Romy. Gefeliciteerd dat je bij de eerste 30 zit. Wat een mooie creaties maak jij zeg. En wat zou het gaaf zijn dat je voor Graphic45 mag gaan ontwerpen. Ik duim voor je dat je gaat winnen. Ik blijf naar je blog kijken voor inspiratie. Groetjes Anneke. You do such gorgeous work! Congratulations on making it to the final 30. Good luck! Wow! Stuk voor stuk prachtige creaties Romy! Ik heb genoten van al dat moois en blijf je volgen! Succes met de dt call, gaat je vast lukken! Congratulations on making the DT! I look forward to seeing your beautiful creations over the next year! WOW! Wat goed dat het gelukt is Romy! Gefeliciteerd met je plek in het DT team! Wow, stuk voor stuk zijn ze prachtig. Heel veel succes in de laatste ronde. Je zou een aanwinst zijn voor het DT team.